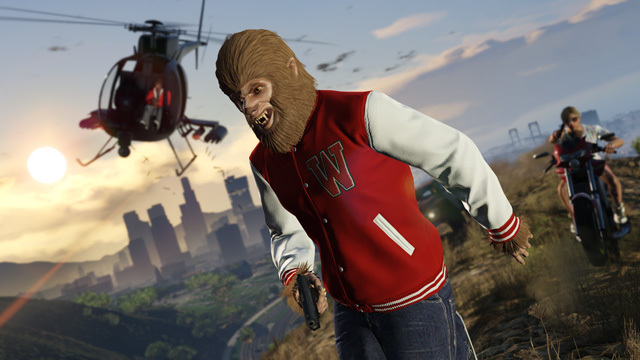 Become the Beast: a stronger, faster (and hairier) version of your character – and flee relentless pursuers all over Los Santos and Blaine County. An every man for himself turf war where you’ll need to ascend and claim the designated ‘castle’ as your territory – and then fend off everyone else as they go all out to dethrone you. 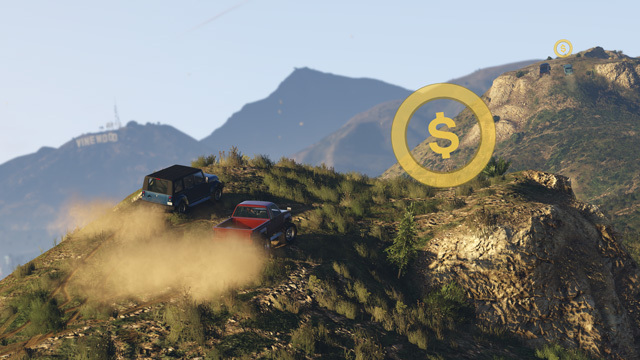 The first player to enter a marked vehicle will become the Moving Target, tasked with safely delivering the vehicle to a designated location. While the marked vehicles will be durable, it’ll take some serious elusive finesse to survive other players’ attempts to destroy you before the drop point. Fight for possession of valuable contraband and see if you can make the drop first in this ruthless smuggler’s run. 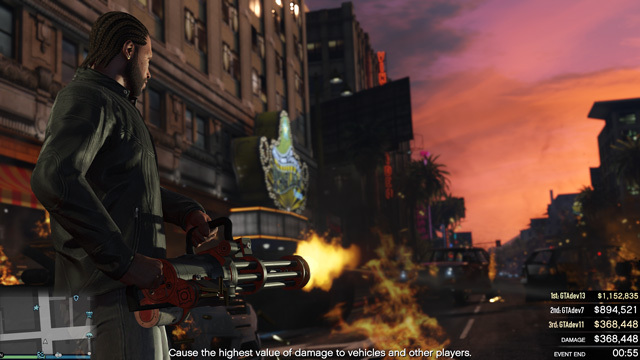 A Sanchez, a Golf Cart or another otherwise humble mode of transport is made into an indestructible marked vehicle. Take command of it and avoid all the other jackers and assailants in your session to be the one in the driver’s seat when time runs out. Try and go for it solo to keep the entire GTA$ award for yourself, or shrewdly partner up with a gunner to ride with you for protection and split the earnings. Record the fastest time possible, with a new course to master every week that awards you GTA$ and RP for beating our target time or your own personal best – and a championship worthy haul if you can take down the World Record. 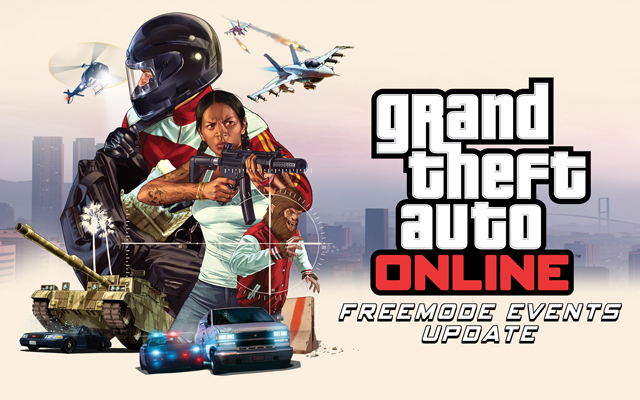 Compete in 19 unique Challenges against your Freemode friends and foes. 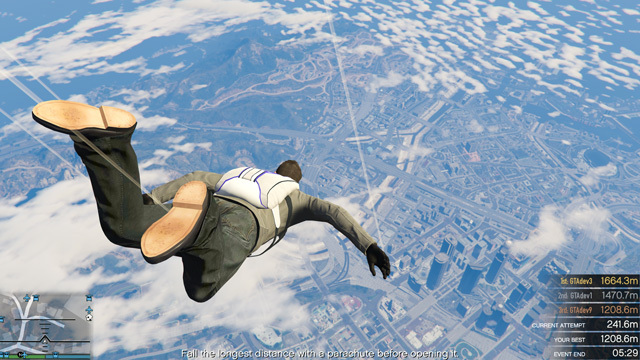 See who can perform the longest jump, who can drive the farthest without crashing, who can fall the longest distance without dying, who can freefall the farthest before pulling their ‘chute – and many other ways to risk your neck to try and be a top 3 finisher for GTA$ and RP rewards. Cross the Line: Heavily-armed squads face off across a neutral zone – with the goal of having all team members strategically penetrate their opponents territory to claim victory. Hunting Pack: You’re part of a team tasked to deliver a priority vehicle rigged to explode if it drops below a minimum speed, while your opponents race, ram and batter to take it down. 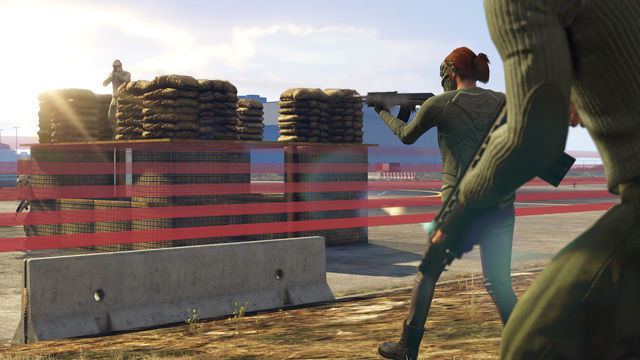 Today’s update also brings new features to the GTA Online Creator, which includes the ability to properly stack and overlap Props, as well as the ability to save Prop templates that can be reused throughout custom Job creation. Now, clever Creators can make insane mega ramps, super loops, and brilliant parkour courses better than ever.